As soon as I woke up this morning God took me to Colossians 3:5 and I did not understand why He wanted me to share this Word. Anything that we put before God is an idol, and it could be anything. Idols are not just images carved out of stone. Putting that boyfriend or husband before God is idolatry. Spending more time on that website, in that magazine than you do in His Word is idolatry. Believe it or not children of God but our God is a jealous God and He desires that we worship Him in spirit and in truth. God is not looking for part time Christians. God is not looking for partial hearts. Now is the time children of God do not wait until it is too late for tomorrow is not promised. Tomorrow is not promised for both the unsaved and the saved, the wealthy and the poor. This is the reality. Children of God, we must understand that God is not OK with our sin. But He desires that we do not stay in sin. He desires that we strive for righteousness. And striving for righteousness means sacrifice. You know like how God sacrificed His only begotten son on that old rugged cross for you and I. And Jesus didn’t have to die on the cross but He did, and it wasn’t easy but it was worth it. Jesus is the ultimate sacrifice. Yes that’s true. But if we desire to strive for righteousness then we to have got to make sacrifices. We have got to guard our hearts. The sacrifice is to die to self. To die to self is to die to fleshly desires as so described in Colossians 3:5. Desires of the flesh are as His Word describes it, idolatry. Again I reiterate it’s not easy, because this means that you’re most likely to miss out on what the world is doing. You might miss out on that birthday, that concert, that relationship. Well that’s what the enemy wants you to believe. That’s what the world wants you to believe that you’re ‘Missing Out’. Believe me when I say that you ain’t missing out on nothing. Missing out on sin is not easy but it is Worth It. Nothing and no one can compare to the presence of God. I’d rather miss out on the world than miss out on the beautiful, amazing, wondrous, Presence of God! I’ve tasted the world and I’ve seen that it isn’t good at all! I’ve tasted the world and it started of sweet and then left an unpleasant taste in my mouth. I’ve tasted the world and it never did satisfy. I’ve tasted the world and it left my spirit feeling weak. I’ve tasted the world and it strengthened my flesh and grieved the Holy Spirit. I’ve tasted His Word and I can testify that His Word is GOOD! I had to make that sacrifice, I just had to Let It Go. It’s easy now because I’ve buried myself in His Word. It wasn’t easy to let go of sin back then because my heart was buried in both the world and the Word. We cannot serve both man and God, and a double minded man is unstable in all his ways! God cannot use lukewarm vessels. We must give ourselves away in totality in order for Him to use us for His glory. Put the idols to death. When I see children of God worshipping their boyfriend, girlfriend, husband, wife MORE than they do God it saddens me. He is the centre of it all. God desires a heart of worship where it is all about Him. Our worship cannot be all about Him if we have placed something or someone before Him. The world has attempted to deceive our generation into believing that they should live their lives anyhow whilst their young. Well it’s no wonder why there are so many youths dying! This is a lie from the pit of hell. The enemy is out to kill and destroy. Just look at how young king David was, Joseph, Mary, even Jehoash became king at the age of seven! There are so many more examples. The Lord wants us now, and He will use us for His glory. God said He would spit the lukewarm out of His mouth Putting God on hold is a dangerous game, don’t try and play God. In no way am I trying to make you feel guilty, but it is what it is. We’re either for or against God. The devil is the prince of this world, and the world hates God. Why would I love the world if it hates God? My desire is for His very kingdom. It’s not ok to stay in sin. Come as you are but you cannot stay the way you are. He will take your heart and mould it. He will take your mind and transform. If you have decided to follow Jesus then you have to be prepared to leave the world behind, leave the idolatry behind. It’s not ok to idolise evil! Children of God what business does light have with darkness, does good have with evil? Christians its time for us to pick up our cross. On a hill far away stood an old rugged cross. So I’ll cherish the old rugged cross. Till my trophies at last I lay down. I will cling to the old rugged cross! Oh, that old rugged cross, so despised by the world. Has a wondrous attraction for me. For the dear Lamb of God left His glory above. In that old rugged cross, stained with blood so divine. A wondrous beauty I see. For ’twas on that old cross Jesus suffered and died. To the old rugged cross I will ever be true. Then He’ll call me some day to my home far away. I really do believe that The Lord is raising a generation. He is going to use the youth mightily for His glory. Be apart of that generation. The generation of God and not of the world. I am personally looking forward to the day of Jesus’s return, and I am going with Him. Some Christians love the world too much and that’s worrying, because lovers of the world cannot go where Jesus is going. Put God first and rid yourselves of the idols. For you’re idols are not taking you to heaven. satan wants many souls with him in hell. If you do not desire to go to hell then stop worshipping idols! God said His people are perishing for lack of knowledge. Without the knowledge of the Word of God it is very easy for the enemy to deceive. To be in support of sin is to be in support of satan. To be in support of righteousness is to be in support of God. Be apart of the generation that stands for righteousness. Be apart of the generation that worships God in spirit and in Truth. Let the world go! And be apart of the Kingdom of God. I am telling you satan that I have decided to follow Jesus, and I refuse to turn back! All I need do is remember how unfulfilling sin is and refuse to turn back to the same sin. satan can deceive this child of God NO MORE! 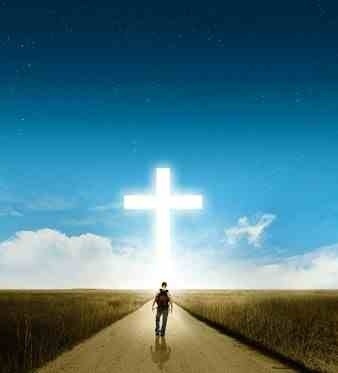 For I said that I have decided to follow Jesus, and there is no way that I am turning back! For I have tasted the very fruits of His Word. Lukewarm Christians its time to change. Part time Christians it’s time to change to Full Time! Idol worshippers it’s time to put the idols to death and WORSHIP GOD ALONE. FOR HE ALONE DESERVES OUR WORSHIP. Remember that God has your best interest at heart, and satan doesn’t. satan doesn’t care for you, God does. God loves you, satan doesn’t. satan wants God’s children DEAD! Do not be deceived by his ways which seems so sweet. For Jesus is coming soon. We must develop a heart where whatsoever we do for God we do wholeheartedly. I stay no longer with you. I am under The Rock. The Rock is higher than I.
Jehovah hides me, He hides me under The Rock! Go tell my enemies I am under The Rock. Jehovah hides me, He hides me under The Rock. God is my hiding place. He is my Rock and my salvation. Goodbye world, goodbye pleasures of sin. Reblogged this on Olayemirichard's Blog.